I have two daughters. The oldest turns eight in a couple of weeks. Both my daughters are what you'd call girle girls. Everything is pink, there are glitter and princesses everywhere. Their mom and I are divorced. Sounds bad, but it is great. Best decision ever for the both of us. When the girls are at their mom's place they live in a "girlie world". Their mom likes glitter and princesses and stuff too. I don't know the first thing about girlie stuff. In fact, I don't even think that there is such a thing. Girls can do whatever boys can do and vice versa. But I figured if they want to be young princesses: let them. I'm just gonna have to raise them as orc slaying barbarians who happen to wear pink. 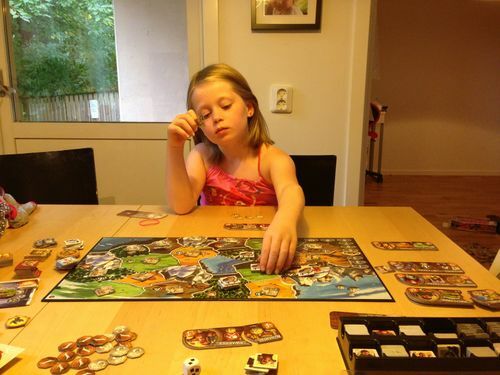 This geeklist chronicles a young girl's journey from toddler to boardgamer. 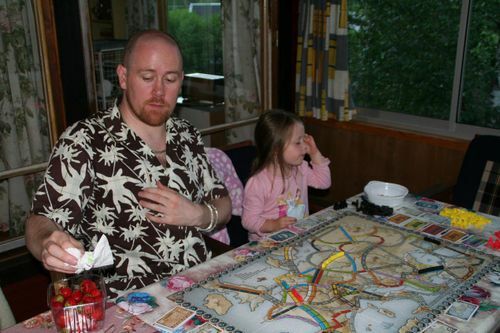 The early years are hard for a boardgaming parent. But if you want to reap, you have to sow. Endless hours playing Gulo Gulo, Candyland and other hideous kids' games. But you invest for the future. 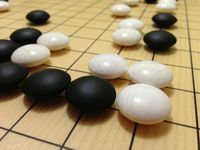 I started playing Go when I was more than 30 years old. That's way to late. If you want to be any good at the game you have to start young. I even got her a board of her own when she was three. She may not have grasped all of the rules back then, but she did learn how to hold the stones properly. 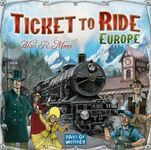 I really don't like Ticket to Ride. 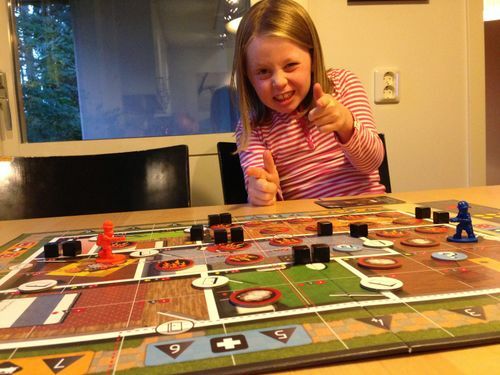 But if an aspiring boardgamer points at the cover and smiles, you buy the game. We moved a couple times during a few turbulent years. During that time we didn't play as much as before. In the end we found our dream apartment, I got a great job and everything was back to normal. I was amazed at how much this little girl had grown. Her intelligence, ability to read the board, understand rule sets, analyze different positions. If you want to really experience how your kids grow on the inside, place them in front of a game. It is so cool. You can almost hear more and more cogwheels start spinning after every session. 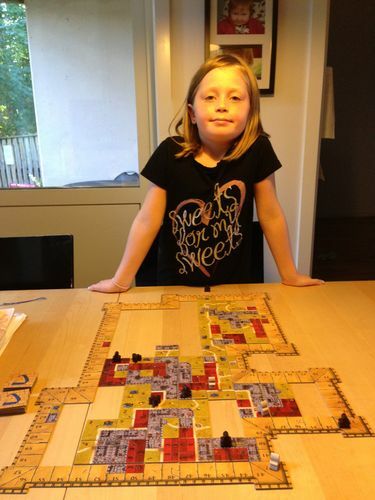 Carcassonne: the castle was our triumphant return to boardgaming. 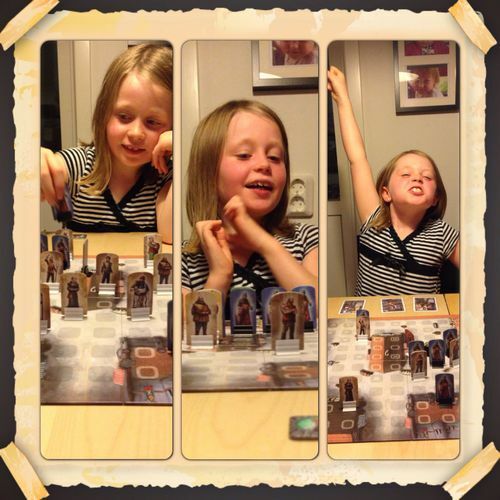 It really got my daughter hooked and I was amazed how easily she picked up the rules and basic stragegy. With me being fond of co-op games I wanted to see how she'd respond to that type of games. I wanted to see what kind of roll she'd assume in the team. Having explained the rules to hear, she looked at the board and then looked at me. - We have to save these people. You put out the fire in that room and I will tend to the wounded (she chose the medic). I laughed and said "aye, aye captain. Let's do this!" We played eight games of Flashpoint in the first 48 hours of buying the game. She seemed to like the co-op mechanic, so I figured we'd continue down that road. 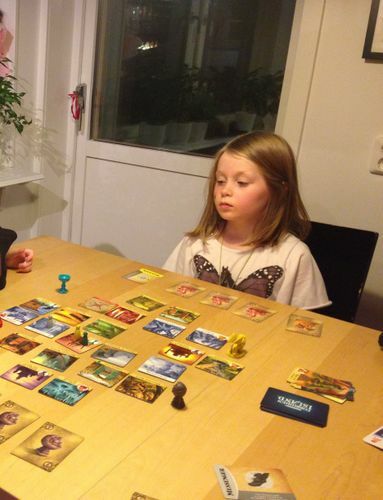 She liked Forbidden Island, but it wasn't as big a hit as Flashpoint. I reckon she felt it was a tad too abstract. But she didn't want to change games until we'd successfully gotten of the island with the four treasures. Having gotten home late from a game session the night before, I was too tired to unpack the games I had brought along. My daughter picked up Small World and asked "what is this?". - It is a game for grown ups. - Well, the rules are a bit tricky. - Can I be the Skeletons? 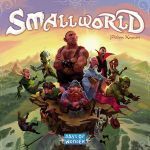 Now the basic rules of Small world are very simple and straight forward. But remembering the special powers (mind you, I have all the expansions in the box as well) asks a tad more of the player. But she did it. And I am guessing most kids her age probably would as well. I seem to have a tendency of underestimating children. - Yes, but if I attack you instead you will have less points next turn. - Ah, but then you have to roll the dice. - I am good with the dice. 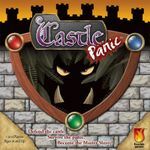 As you get drawn into the boardgaming hobby and develop a love for boardgames, most people want to share the joy with non-gamers. My daughter had a friend over. They were playing with barbie dolls, listening to Justin Bieber and doing whatever it is girls that age do when they're among their peers. 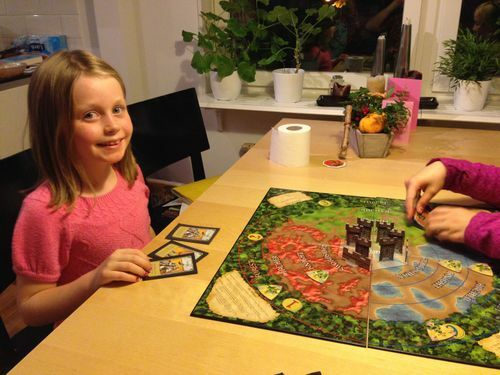 My daughter's friend stayed for dinner, after which my daughter asked her "Wanna defend the castle and kill some orcs?". Her friend seemed baffled, but my daughters enthusiasm convinced her to join in. - There are only boys on the cards. But we are the queens in the castle. We tell the men what to do. They have to obey us. - But who is the king? - There is none. We don't need one. Then and there I felt like I'd actually made the world a somewhat better place. The idea of making the list came from a thing that happened today. I picked up the girls after they'd been a week at their mom's place. We alternate, one week here, one week there. My daughter asked me: can we play a game tonight. The answer was of course: yes. 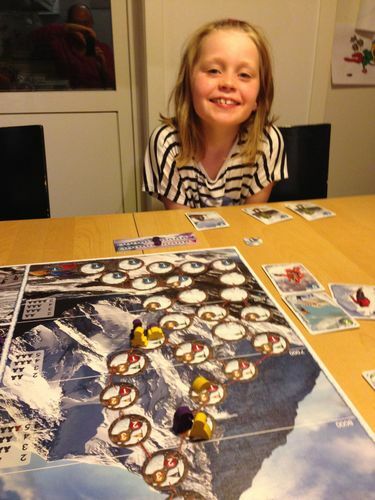 The original plan was to play Small world, but as we went to the book case to pick up the game, her eyes fell on K2. - What does K2 mean? - It is the world's second highest mountain. It is a game about climbing it. - Wow! Can we play that? And we did. I opted to play the first game without the risk tokens. We had a blast and she really got into the theme. "I gotta get down to my tent now or I am going to freeze to death!" After the game she noticed the risk tokens and asked me about it. I explained how they worked. - Daddy next time we have to use the risk tokens. We play games almost every day now. It is my favorite thing to do and I am pretty sure it is her favorite thing to. It truly is quality time. We get to laugh and think toghether. 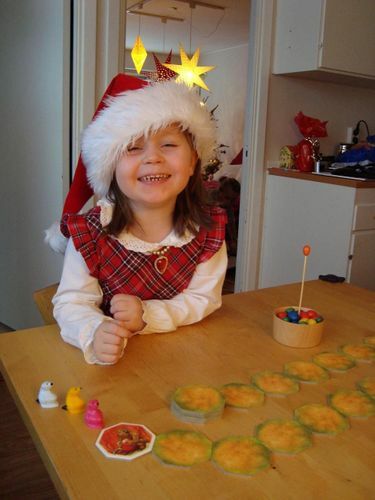 She practices reading, math and much more. It gets more and more enjoyable for me as she becomes a stronger and stronger opponent. 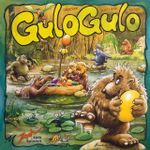 I wanted to share my love for boardgames with my daughter and I feel like have done so. But we'll see what happens when she hits her teens. 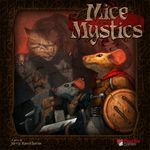 Our next purchase is going to be Mice and mystics. I would never buy it for myself, but I told her about it and she immediatley put it on her wishlist for her eighth birthday. We just got this game. I was somewhat hesitant about introducing it to her. 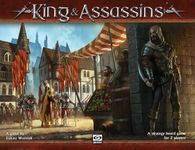 A game of murder and deception? Then I decided that to trust in her ability to separate the game from reality, ie I doubt it will turn her into an actual assassin. It was a huge hit. She gets sooo excited, but she also makes sure to move every piece on the game board. Her deception skills are... uncomfortably good.